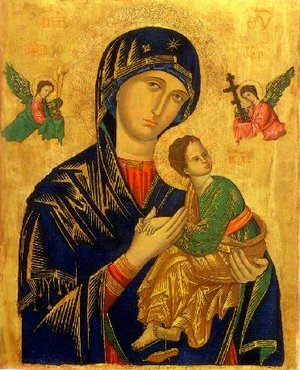 "Our Mother (Lady) of Perpetual Help" Unknown artist, 12th c.
Help that is everlasting - eternal - perennial - constant - permanent. Помощь, что вечно - вечно - многолетние - постоянные - постоянные. Moms love unconditionally, want to always be there for you. Mother's Day is May 13. Sunday.